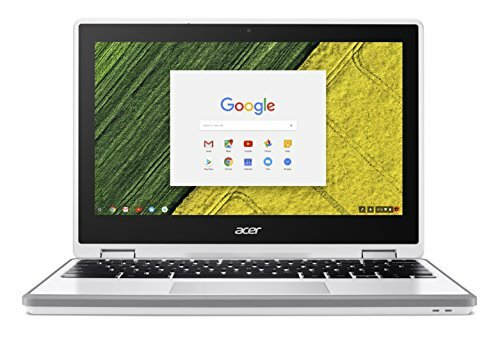 In the past, Chromebooks have generally been regarded as lower-end cheap laptops, fit for education and casual web-browsing. 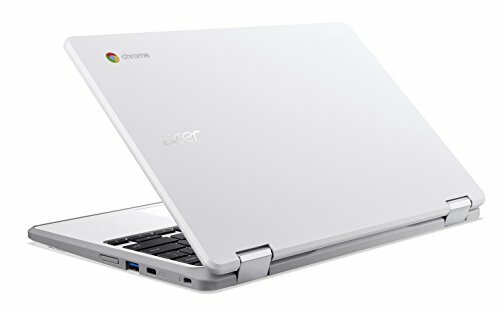 However, in a post-Pixelbook world, do they still fill the same role? 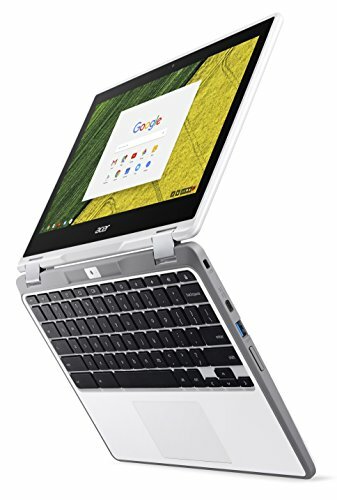 Well, as the Acer Chromebook Spin 11 proves, they certainly can. 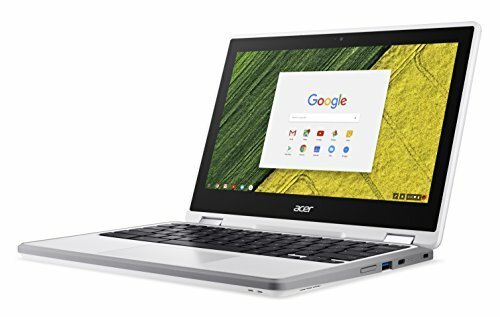 Read our Acer Chromebook Spin 11 Review. 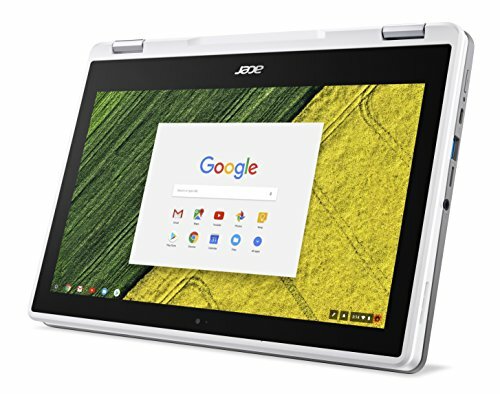 It’s designed to appeal to parents with young children that need a laptop to do schoolwork, but it’s also suitable for someone who wants to muck about installing Linux. It’s durable, has decent enough performance, comes with an included stylus and carrying case – and it’s inexpensive considering all that’s in the box. There’s only one configuration available for purchase. 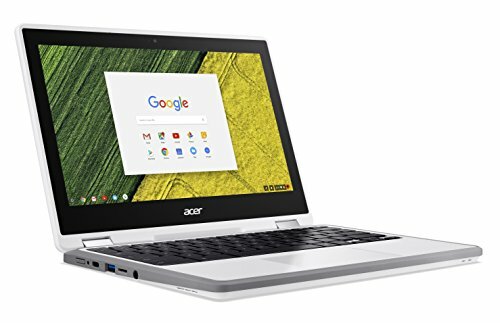 Just nets you the laptop with the specs we list, which are fairly average for the category compared to similar Chromebooks – such as the Dell Chromebook 11 3180, with a less powerful CPU and the same amount of memory and storage. The Spin 11 features an all-plastic build, but don’t let that deceive you as this Chromebook is one of the sturdiest laptops we’ve ever used. No matter how hard we tried, we couldn’t get the laptop to flex even a little. On paper, the keyboard would also seem shallow with just 1.1mm of key travel, but it feels comfortable and we didn’t feel the keys bottoming out at all while working on it. 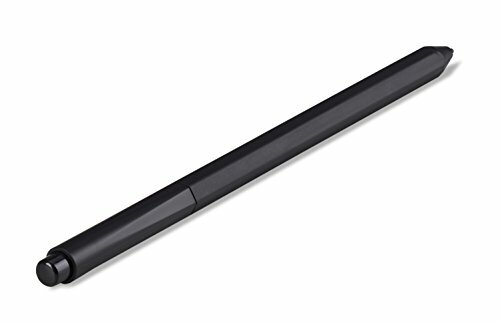 It’s durable, has decent enough performance, comes with an included stylus and carrying case much lighter without giving up some of the durability. Ports are also a huge win here – you have two USB-C ports, which handle data transfer and charging. 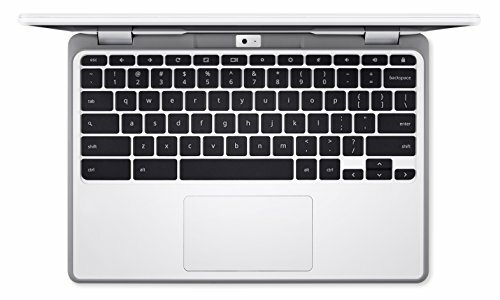 In a Chromebook at this price range, we would have been happy with just one. You’ve also got two USB 3.0 ports, a microSD card slot and a headphone jack. The screen also reflects (if you’ll excuse the non-pun) the durable nature of the Chromebook, as it’s covered by Corning Gorilla Glass, so it should be pretty resistant to cracking or shattering. The touchpad is a sour point, however. The surface is competent, but it’s extremely sensitive, not to mention that the plastic finish and tough centre- click was a turn-off. However, it does support gestures, so it’s not all bad. Things start to take a turn when you look at the display. It features a 1,366 x 768 IPS display, and while viewing angles are quite good, it’s not very bright. At this price and form factor an HD display isn’t exactly out of the ordinary, but we would have appreciated a brighter panel, if not Full HD resolution. The speakers, also, are a bit lacklustre; while they do manage to fill the room, there’s not all that much in the way of detail in the sound. So the Spin 11 is fine for watching some YouTube videos; just don’t expect a pleasant experience while listening to music or watching ‘real’ films. The Acer isn’t a powerhouse, and we weren’t expecting it to be. Still, even with its modest components, Chrome OS continues to prove itself competent for its intended use cases: generally web browsing and word processing. 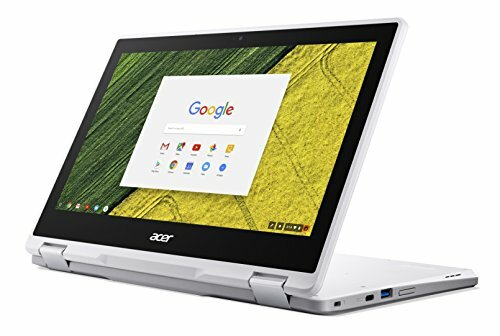 While it won’t be able to keep up with something like the Google Pixelbook, rocking an Intel Celeron processor as it does, it was able to keep up with a decent workload; typing this review with 10 tabs open in Chrome and a music player running in the background. Quite honestly, that’s exactly what we wanted to see from this device. However, one of the most important aspects of a Chromebook is its battery life, and unfortunately the Spin 11 disappointed here. While in our casual use we didn’t really need to stress about charging the device, it didn’t exactly perform admirably when we looped a local video at 1080p running in VLC; the device died after just 7 hours and 34 minutes. 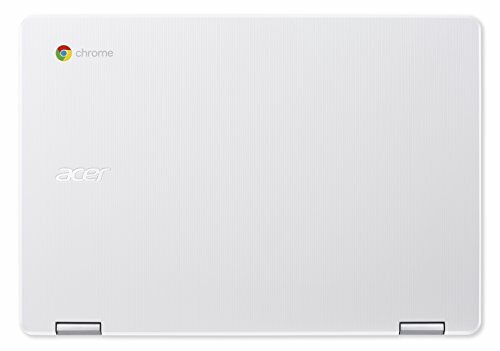 For a Chromebook, this score is well below the category average. For instance, the similarly configured (and older) Dell Chromebook 13 scored almost double when running the same test, at around 14 hours.